I love all seafood. Unfortunately, since moving to our remote property, I'm unable to get fresh seafood as easily as when we were living in the Seattle metro area. 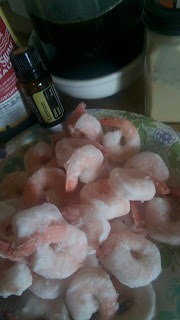 So when I cook frozen shrimp, I want it full and bursting with flavor. For dinner tonight, I marinated shrimp in garlic, honey, and soy sauce. In a separate pot, I cooked brown rice with chicken broth. When the rice was almost done, I preheated an iron skillet. After draining the shrimp from its sauce, I sauteed them with more garlic. I added veggies and served the shrimp over brown rice. I found an easy shrimp recipe on Pinterest. The pin is pasted below. 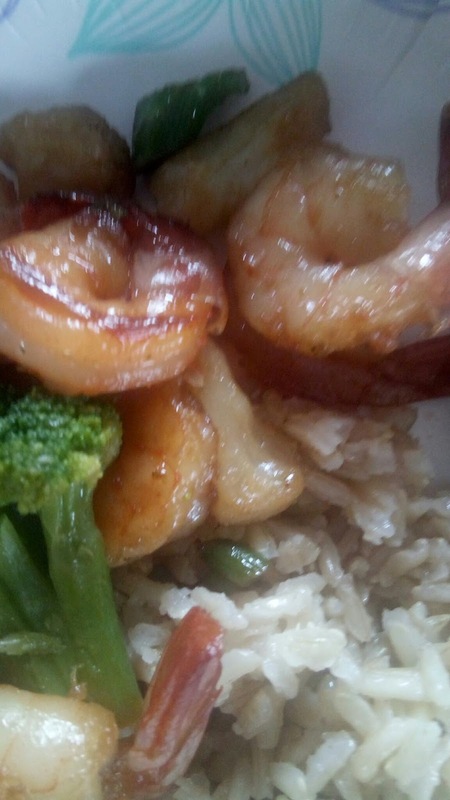 Marinate shrimp in garlic, soy sauce and honey. Put brown rice in a pot. Add water and chicken broth. When the liquid starts boiling, put on low heat with lid. Cook for 40 minutes. Fluff the rice and check for doneness before adding shrimp. If your using frozen veggies, cook them separately. When almost done, set aside. In a skillet, saute shrimp in olive oil. When almost done, spoon some of the liquid from the skillet into a bowl. Add one drop of doTerra lemon essential oil and mixed thoroughly. Don't you just love the 'honey glaze" on the shrimp? 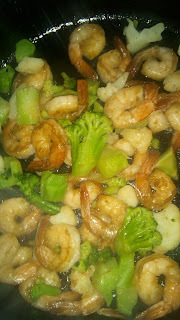 When the shrimp is done and starts to have honey glazed on them, add fresh or the frozen veggies that you set aside. Add siracha or red pepper flakes. Serve over brown rice. 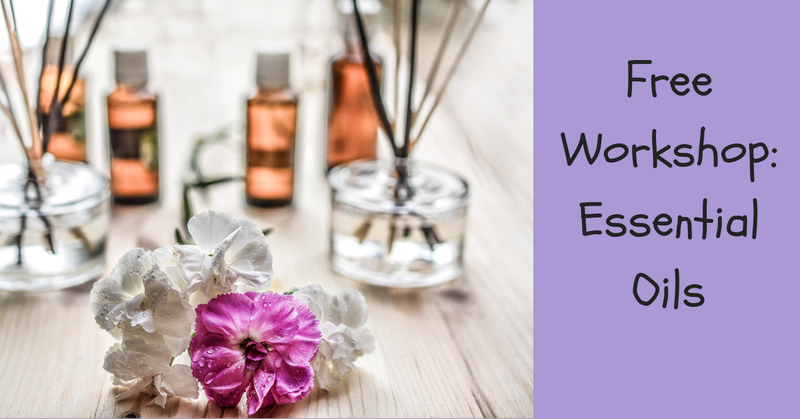 When adding essential oil to your recipe, add them at the very last minute and always mix the oil in fat or liquid.